Protective Marine Life, Projeto Tamar and Golfinho Rotator. Fernando de Noronha is a National Marine Park, established in 1988 by the the IBAMA, the Brazilian Institute for Environmental Preservation. Understanding the importance of the ecosystems found in Fernando de Noronha, most of the main island and all of the smaller islands fall under the banner of the National Marine Park, which was established in 1988, under the purview of IBAMA, the Brazilian Institute for Environmental Preservation. Bringing in animals or plants to the island or collecting plants, corals, or any part/s of living organisms on the island. Walking over reefs in Atalaia and Leao beaches and Sueste bay. Using sun block in certain natural swimming pools. Entering the water on non-licensed vehicles or diving without the supervision of a registered dive company. Entering areas marked as restricted. Staying outdoors overnight or creating a fire anywhere on the island. Particular importance is paid to the protection of the Aruana and Hawksbill turtles and the Rotador dolphins, native to this area. 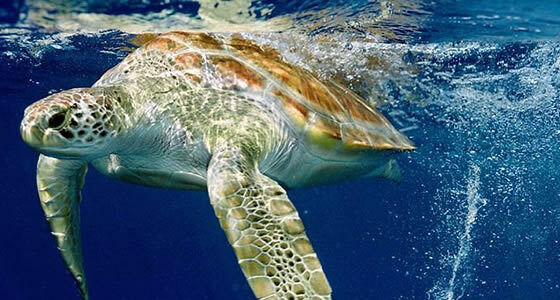 The National Centre for Conservation and Sea Turtle Management of Brazil or TAMAR (an abbreviation for the Portuguese word for sea turtles – “tartarugas marinhas”) was set up to ensure the protection of and to monitor the sea turtle population in the area. The project keeps track of female turtles, their eggs and reproductive environment and has been monitoring the population of the turtles since 1984. The aruana turtles frequent the beaches of Leao and Sancho. In November, during the mating season they can be seen on the surface of the water, while during the rainy season of December to May the females swim to the beaches at night where they lay their eggs to incubate. One of the most spectacular sights is to observe the birth and first swim to sea of the baby turtles. The hawksbill turtles are a highly endangered species as their shell is much desired for making jewelry and other ornamental pieces. These turtles who visit Fernando de Noronha to feed and grow can often be observed while diving. The Spinner Dolphin Project established in 1990 and sponsored by the Petrobas oil company works closely with the country’s Environment Ministry and the Chico Mendes Institute for Biodiversity Conservation (ICMBio) to establish guidelines and set rules and regulations to ensure the protection of Spinner Dolphins. For example during the spawning months of January and July, visitors are prohibited from visiting Leao and Sancho beaces between 6PM and 6AM.The project oversees research programs and promotes awareness about dolphins among visitors as well as the locals. Training courses in ecotourism and the preservation of the archipelago are also conducted, especially aimed at the youth of these islands.